Today, Taiwanese phone maker HTC announced that they are ready to update their HTC One M9 smartphone to Android 7.0 Nougat - not long after updating the HTC 10 flagship to the same new version of Android. US owners of the unlocked One M9 will officially get Nougat starting later tonight. 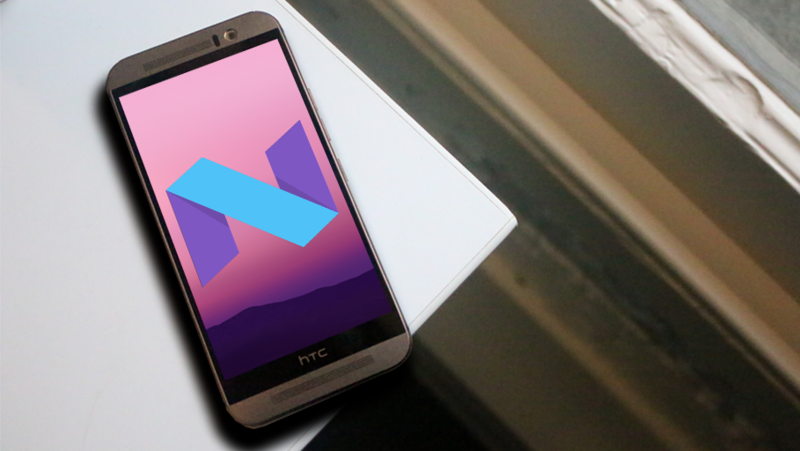 Just like on the HTC 10, the update will bring Android 7.0 Nougat to the One M9, not Android 7.1 Nougat. Nevertheless, this is excellent news for those rocking an unlocked M9. Unfortunately, carrier versions of both the HTC 10 and HTC One M9 will only receive Nougat updates starting early 2017. Before that, HTC might roll out a Nougat update to the unlocked One A9. Android Nougat brings a few new features that are baked into Android at a system level like improved battery-saving with a tweaked Doze, multi-window, improved notifications and in-line replies. Unlocked owners, start hammering on that System updates button.